A certain old woman, out of excessive curiosity, fell out of a window, plummeted to the ground, and was smashed to pieces. 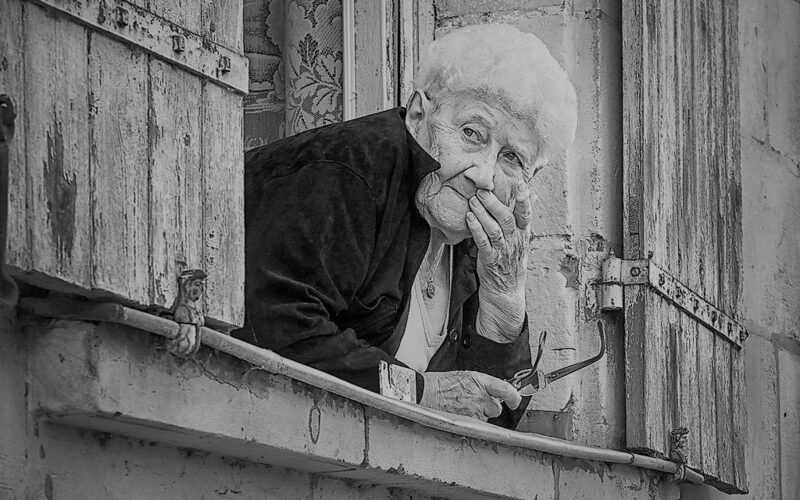 Another old woman leaned out of the window and began looking at the remains of the first one, but she also, out of excessive curiosity, fell out of the window, plummeted to the ground and was smashed to pieces. Then a third old woman plummeted from the window, then a fourth, then a fifth. By the time a sixth old woman had plummeted down, I was fed up watching them, and went off to Mal’tseviskiy Market where, it was said, a knitted shawl had been given to a certain blind man.